Caprese Pizza With Pesto Sauce. 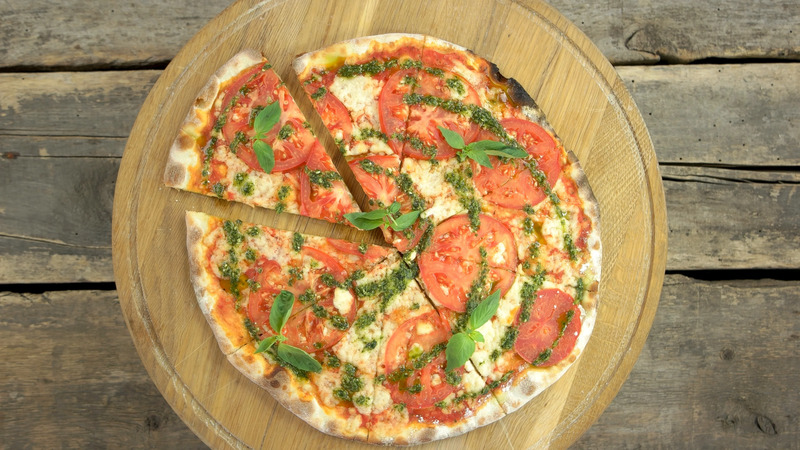 Description: Caprese pizza with pesto sauce. Tasty baked food top view.